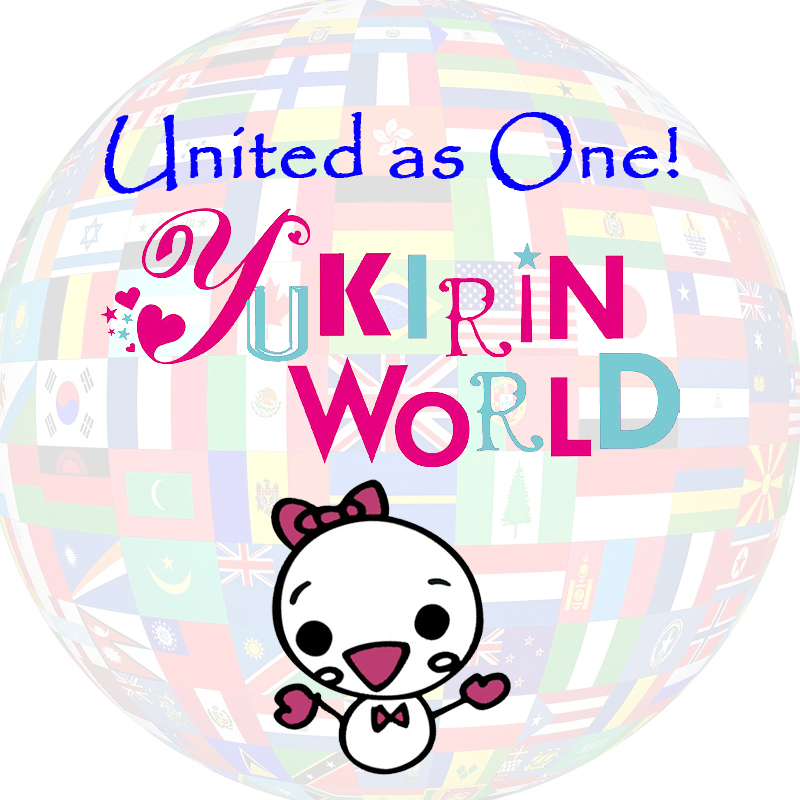 Calling all YUKIRIN WORLD residents!!!! 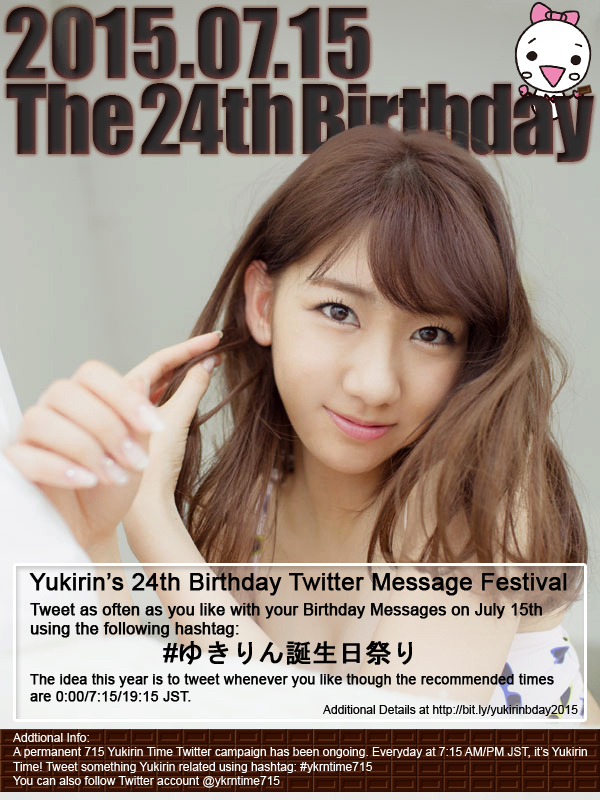 Details of Yukirin’s 24th Birthday Message Festival. There are no specified times this year as the idea is that you should tweet at a time that works for you, though the recommended times are 0:00/7:15/19:15 JST on July 15th. And also, use ゆきりん many times in many tweets! Please note that there were no initial plans from the Japanese Committee to have a message festival this year given what happened a month ago. You can see that this year’s festival including the poster is a bit subdued compared to years past out of respect. Let’s wish Yukirin a wonderful birthday without too much fanfare.